Bes sure to check here first if something goes wrong, theres a high chance it is mentioned below. Error Updating your Cyber-Labz software ? 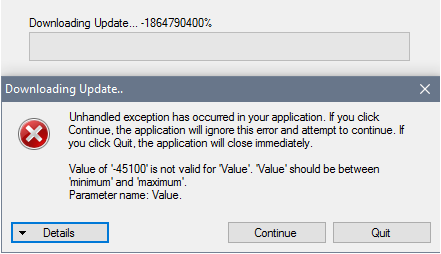 This is an error being caused by a recent Windows Update and will NOT effect the update or the running of the bot in ANY way. Just click "Continue" until the update has completed. Do you make Custom Software/Bots ? The price will increase for every extra task it needs to complete, for example, .. If the same site had a captcha at login then this would start at around $15. To Request a Custom Bot please use the "Contact US" link at the top of the website, and select "Custom Bot Request"
4 - Is the bot for you personally or for public release ? Any requests that just say "I want a bot for this site" WILL be ignored ! All bot request MUST be in the format mentioned above for consideration ! Can I Use my bot on more than 1 PC ? What are the requirements to run software from Cyber-Labz ? Can I run Cyber-Labz software on a VPS ? Please be aware that the running of the bot will entirely depend on the VPS service you choose. *Cyber-Labz software will NOT run on Windows Server 2003 ! 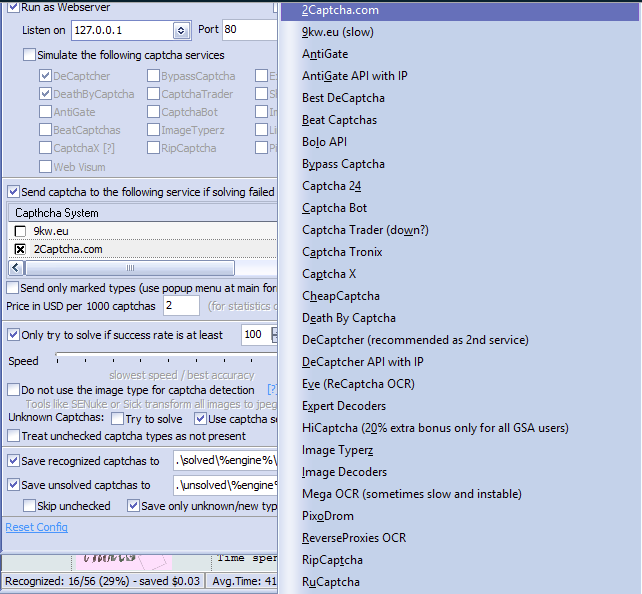 Which captcha services does Cyber-Labz software support ? If you have purchased from Cyber-Labz and the captcha service you use regularly is not available please send us a request and the service will be considered for implementation. INFO - I need help with GSA ! 9. Add GSA Captcha Breaker. INFO - I need help with Captcha Sniper ! 1) Select "CAPTCHA Service Accounts" select "Add" From the dropdown select "Decaptcher"
2) In the CAPTCHA Service Accounts window make sure the only service that is checked is "Decaptcher"
3) Now start captcha sniper under "Settings" click "Use Hosts File Redirect" and "Save Settings on Exit" then click "Use CSSE"
4) Click Stop Then click the "HTTP Api" tab check only the "Decaptcher"
- Check only the "Decaptcher Socket"
- Port(s): should contain "6749,3456"
- Host(s): should contain "api.decaptcher.com, api.de-captcher.com, api.de-captcher.info, api.decaptcher-reloaded.com"
INFO - Error "License Activations Exceeded"
INFO - Error "Unable to Contact License Server"
These are called "False Positives" and are caused by some virus protection that cant read the bots code as it is encrypted, this can also be caused by bots that have an auto-update feature built in, which Cyber-Labz software do to keep you updated and using the latest version of a software. You can run any of our bots within a "VM" (Virtual Machine) or alternatively in a "Sandbox" to give you peace of mind. Ive Paid, Where Is My License ? Ive Paid, Where is my purchase ? My purchased software isnt loading ! This is done in the background so not to bother you, ..
You should see "*SOFTWARE NAME* : Downloading support files ......."
If a license error still exists please delete the "license.lic" file within your purchased software folder and re-submit your license details from your License email.